The Rock Church is one of the most evangelistic churches in existence. They’ve been streaming their services for the last seven years, but over the previous six months have transitioned to having a full online ministry. Mike Humphrey is the Rock Church's first Online Campus Pastor. I connected with Mike a few months ago, and right from the start, I was excited for what he would be building. In a short time already Mike has been killing it! I ask Mike a series of questions from their online assimilation strategy to things relating to practical tools they use day to day. I know this conversation will inspire you because I was personally. Jay Kranda: Okay, I'm here with the online campus pastor from the Rock in San Diego. Mike Humphrey. Mike, thanks so much for hanging out with me. Mike Humphrey: Yeah, thanks for having me. Jay Kranda: For those who are, who can't, I'm going to probably put a photo of this somewhere because you have a very legit setup and I asked you to like give me a quick tour because I've seen these Facebook Lives that we're going on that you've been doing to build up your community, but you have like this map in the background. You have this monitor but I guess you just set it up recently, right? Inside look at Mike's Facebook Live setup in his home. You can do this too with a little budget! Mike Humphrey: Yeah. This has been something that's been somewhat recent. We actually just moved into a new, a new house and it has a little bit more space to have a little nook in our master bedroom and I have three little kids so if I don't have a space that's kind of far away from them that you'll just hear them constantly. And so yeah, my, my wife helped me out and we went to hobby lobby and target and I built some furniture and we just got a little setup. It's awesome being able to work from home. I feel like when you're online you got to be able to produce some content pretty quickly without having to do a ton of setup. So this is a really huge blessing for sure. Jay Kranda: Yeah, it's fun. Like I totally did a similar thing where I found these tile wall background deals. It's for my bedroom and I don't use it as much recently, but just because of the way like kids nap, like in the last year, it's kind of switched up with ages. But, it's so important to have an easy setup. And, I was surprised you were telling me about how you did it and I was like, oh, it looks legit on camera. Like nobody would ever know where you're at. I thought it was in your office at work. Mike Humphrey: I appreciate it man. Yeah, it's funny that you talked about the little tile wall because we actually bought, it's the removable wallpaper and it's supposed to look like shiplap, like wood planks. Yeah. I spent like 45 minutes putting them up for them, but he didn't line up and then I just filled them all out or forget it, you know. Jay Kranda: But anyway, it's really nice having a little spot. For anybody who's listening to this. I'm going to link out to the Facebook Live stuff that you've been doing. Check it out and for sure having a home set up like that is worth it. And even if you can get your church to expense some stuff because they'll get more production out of you for sure. Because the bills and not have to drive somewhere in recorded is a big thing. So we're talking about church online. I want to hear a little bit about what the Rock has been doing. If you guys don't know the Rock Church in San Diego. Your pastor is pastor Miles. He is the senior pastor. Your church is huge on outreach. You guys have been doing stuff online for outreach purposes, for a long time, but over the last year or so, right? You guys have started to really take it more seriously as a community option, right? Mike Humphrey: Yeah. So basically you nailed it on the head. The Rock is a very outreach driven church. Evangelism is number one. Our pastor is an evangelist. It's funny, he's a great speaker and his expertise is preaching the Gospel in a way that people can receive it. And so for about seven years, I think it was starting in 2011, we started streaming our services so you can watch a service online. Many churches do this and, it's great, it's a great way for people to check out your church if they've never been there before. And we even had a little chat type of thing where people can request prayer and we had some people that were part of our, you know, leadership or servant leadership team that would pray for people. That was a good. It was a good little thing we had going, but we also had this new thing happened recently that we call digital evangelism, which is basically just a fancy way to say that pastor miles or, some sort of celebrity like Drew Brees or someone like that will, will share their, just a brief, like a, you know, just throw some names just enabled. Jay Kranda: So people don't know. Miles was a football player in the NFL, right? Mike Humphrey: Yeah. He played for the Chargers and you know when they were back in San Diego. But yeah, Miles played for the Chargers and he also was a pastor at Horizon down here in San Diego before he launched the Rock Church. He knows he has a bunch of connections with athletes and so someone will share the gospel, they'll go ahead and they'll post it, they'll boost it on different social media platforms. And then people have the opportunity to respond and say yes or no if they want to make that decision to faith in Jesus Christ and they follow up by filling out a form, given an email address. And so we're actually seeing thousands of people fill these things out. I mean it's really, growing pretty large and, but now we're realizing that sending people who live in Florida, so watch a service online is not necessarily capturing what we want them to do. We want them to be part of community. So we launched the online campus in March of this year. It's only a handful of months ago really to provide a community and space for people to be able to connect in a deeper way than just watching a sermon online. Especially in today's culture when you could watch a sermon from almost any pastor for free online from the click of a button. Yeah. So like, so if you've gone through this shift where it was just kinda like go out and reach as many people and now you've started actually provide this community option. Jay Kranda: So talk a little bit about that, what is your leadership and your vision for the community. Does it lean towards primarily local or are you taking on non-local people or is it just kind of like it's both end strategy. Mike Humphrey: I mean I'd say a majority of our audience is local and the and people are connecting online just because we've, created that culture. People who live in San Diego County, many of them liked to watch online. I mean I'll see people that'll come to one of our services and tell me that they already watched a service online and people just, they'll put it on while they're getting ready in the morning or whatever it is. I think it's also a great option if you've ever been in another state or another city and wanted to check the church out at first thing I do is go online and I'll listen to part of a sermon from one of the pastors, so I think it's achieving that, but I don't. That's not our primary goal. Our primary goal is to is to steward well these, these relationships that we've built through the with these people who've, who've made this huge biggest decision you can make in your life, right? To believe in Jesus Christ and what do we do with them? We want to be able to steward that well, want to be able to provide next steps for them. So really it is more of a global plan, global philosophy, but we also want to see that global philosophy become more localized in their areas to really raise up meter so that we get. Because at the end of the day, the church is local. It needs to be vocal and there needs to be leaders that are shepherding people in specific areas. I believe so. We're trying to really grow people in different areas so that we can, we can raise up leaders to shepherd smaller communities in different, different states in different countries. Yeah, and I know that's big. Jay Kranda: I know that's something that I'm constantly dealing with that it's a great problem to have, but it is a problem because when people are responding like, Hey, I live in Minnesota, I live in this part of Texas and it's like I want to be part of your community, but they're looking, they're desiring physical community and I'm wanting to offer that, but there's not necessarily a go-to option in their area. And I say this all the time, but generally people just go like this. There's thousands and hundreds of thousands of churches, but that doesn't mean there's something within a real realistic driving distance. And so, um, but I, I love, I love it and I know the Rock has some very intentional strategy on this. You guys have your Extension strategy. I remember talking with you, or maybe it was a Mingo who's a friend of ours that's also on staff at Saddleback. I remember there was something you guys had something with the online community where somebody was far from you guys that kind of started an expression a couple of years ago and it's like, I know there's a lot of learnings but that. But I love that you guys have that vision and you guys are such evangelistic church planting. Mike Humphrey: I feel like we have a very localized strategy that I forgot to even touch on and it's called microsites. That's something that can be used to lead. Now we have. Basically what it is the picture it like a little popup church that happens in a parking lot or in a public park or on the beach. We have one in La Jolla right on the beach and people come together. They barbecue and they put up a big screen and some speakers and they play the service on Sunday and people who are walking by or like what's going on here, and they're like, hey, come on by. We can get some food for you, and that's really our strategy to reach San Diego County. Now at the end of the day, my pastor has the heart reach San Diego County. He believes the Lord told him that this is where he's going to shepherd and we have five, five physical campuses in San Diego County, but our microsites or reaching on more of A. I don't even know what grassroots type of level where we're, where it's face to face and is that type of community. That's why I really feel like online is more of the brands to reach out and to reach people that are all over all over the place and you're right. It's a huge problem and I want to be clear about one thing as well. People ask a lot of times, what are you? Are you telling people not to go to a local church and to just watch online? That's not at all our, our goal or our agenda, right. We would love for people to get plugged into a local church and their possible, we'll point them in the right direction, but at the end of the day, people will say, Hey, do you do, you know of a, you know, a, uh, a local church in Burbank, Minnesota for. So I don't even know if that place exists. We don't know every church that's everywhere. Right. And, and we would be the same research. They would do google it and we'd start doing some research about beliefs and what the church is all about. We would love for people to get plugged into a local church, but there are many people that they want to watch the rock church. They want to connect with the rock. They want to be part of the vision, the community. And we need to. I, I believe that we as a culture need to get our focus on the capital c church. Really at the end of the day we want people to be plugged into community and we're going to fight hard to get people connected to each other, but, but we're one church fight in this battle together. Jay Kranda: Yeah, I love it. So just a little context because I think a lot of people rush to like, wow, look what the Rock is doing. And obviously, you guys are big. You guys are doing a lot of cool things and not everybody is going to be equipped with that type of vision and those types of resources. But for context, so you guys had been streaming services for about seven years over the last three months. You guys have started to offer an online campus, but how old is your church? Mike Humphrey: Our church started in the year 2000, so we are about 18 years old. Jay Kranda: And then obviously you guys are super unique because like even Saddleback for like 38 years old. But obviously when, when Saddleback started, um, you know, the Internet was not the Internet. I mean like there was internet art pronators, one of those early forms of the Internet, but like kind of were like obviously pre iPhone and so just thinking about, I always, talk about that, like I notice a huge difference in age of senior pastor and like, you know, adoption of technology now regardless if you're a super visionary leader, you're going to adopt all sorts of things. But there is a difference. I noticed the younger, the younger the pastor, even if you're in your forties and that's young like you're still like more adaptive but seeing, okay, so 2000 and then how, how much time do you get a dedicated to online ministry? Mike Humphrey: Yeah. So that's, that's my full time job. I've put 100 percent of my job into it. And like you said, that's one of the benefits of being part of a larger church, right? I mean, I know a lot of churches. I used to be youth ministry. I know that a lot of churches where the youth pastor is the kids faster and the young adult's pastor totally just do everything because you have to. And there are some churches that have a junior high pastor and a junior high worship pastor, and so it just really depends on the resources that you have. Thank the Lord I get to put 100 percent of my time into this because it's a, it's a huge ministry. And to touch on what you're talking about with ages, it's funny you say that. I do agree. I think a lot of it boils down to also tradition, right? If I'm in, and I guess you can probably make a pretty strong correlation between age and tradition? I think it's hard for some people to wrap their brain around if this is even beneficial or effective, right? To get up onto people watching church online. And I really, I feel like we're in a position where we're, infiltrating the social media space, right? You scroll through and you see, you see political arguments all the time, right? You're seeing all this banter. You're seeing people post what they had for dinner. This is, you know, all kinds of things that you're seeing on Facebook. And yet we have an opportunity to pray live and you can, you can jump in and you could ask for fair and we can pray for you right there on the spot or you can join a community where you're able to connect with people in your area and you were providing opportunity for it to glorify God in on these platforms. And it's where people are. It's how people are spending their time. Nobody's arguing that the statistics are true, that people are spending hours and hours a day on social. I think we need to be. We need to be bringing Christ to that space. Jay Kranda: I love that. Redeeming it. Not being scared of it. That totally makes sense. So, okay, let's get into a little bit of the details here. Like, okay. So what platform are you using primarily for your church online? And do you know what's streaming provider you're currently set up with? I'm just curious. Mike Humphrey: Yeah, so we're using the church online platform. I believe it's the same one that Elevations using a lot of it. Is it church churches as well? Yeah, Life.Church. Jay Kranda: I'm last time I heard there were about 4,000 active churches a month using it was a lot more assigned, signed up, but like that, actively using it. Mike Humphrey: Well I love it. It has a chat feature right off the bat. And I talked about how we used to live stream and we had a chat feature, but now it's, it's cool because our chat is really high on engagement. I really like to see it almost like a hospitality team. Like welcome team. When you come to come to church, they're saying, Hey, glad to be worshiping with you. How are you doing? We see the same people coming back every week, which is really exciting to see and we're chatting with them and it really started to become more of a vibrant community and then there's the opportunity for private prayer requests as well. So somebody says, Hey, I need prayer. We can chat with them one on one. So that's just the. That's just the chat platform, but we have the Bible app that's completely there. You can change Bible versions, you can search versus right there within the APP we have a note section where we upload our current lesson plan so you can fill in the blanks and go along and pastor miles. Many times he's just fill in the blanks as he. As we go through the lesson plan, there's A. There's a little next steps option where they can. They can get plugged in right there and connect with the next steps. Jay Kranda: Do you guys connect that to your local teams like follow up people or is this all that come to your team? Mike Humphrey: All that comes to my team. We have a system right now. Where were we have some of the stuff is automated as far as how we respond with, with our life. We have what we call our membership class life class and it's basically just like a first step discipleship class. It's four classes long. They can connect right away there that we don't even really make them fill out the whole form. They can just click a button and jump right into the class. We also have a, let's see, making they can sign up to join a group to host a group, whatever it is right there on the spot. Jay Kranda: That's sweet. And then like when you say automated, you mean like an email? Do you use like a mail chimp workflow or something? Mike Humphrey: Ya. email. Our tech guy helped me out with that. I wrote it. He figured out a way to get it to them. So yeah, I don't even know exactly what system he's using. I know we use type form just for to fill out the forms. I like how clean it looks. We as we, as we, we've kind of tried out for him. We tried a lot of different things and they all kind of have their pros and cons, but, but so far right now we're using type form. It's working pretty well for us. Yeah. Jay Kranda: So streaming provider, do you know who you guys use for streaming stuff? Mike Humphrey: We use Wirecast right now. Jay Kranda: So yeah. So you are using Wirecast for all, that stuff. Are you guys running that off of like a computer in your worship center? Is your team managing that? Mike Humphrey: Yeah, our team is managing it so we're, we're a bit unique because we actually have live host moments so I'll be down in the lobby and I'll actually be on camera hosting each service. So during the welcome doing the Intro, I'm saying hi to everyone. I'll even pop open the laptop or the iPad once in a while and say hi to people who are, who are tuning in live right on the spot. I get to chat with them. It's great. Jay Kranda: How many services? Mike Humphrey: We have four services. Sometimes we have one of them that is digital so it'll play twice, but yeah, for the most part, I'm usually down there at least three or four services hosting, hosting a moment. It's pretty extreme, but it's awesome. It's awesome being able to connect to people in that way. I think I remember talking to you awhile back and you're like, man, that's a lot of time. That's a big task to take on. It's a huge undertaking and you're right, you're 100 percent right. But it's forced me to empower other people to really step up in the chat department. And so to kind of get back to your question about production, now we have. We have a production lead and then we have a bunch of high school students and use it used to be in my youth group and they're up. They're up in the control room in our broadcast campus. We have to do it out of our broadcast campus because we need. We have five campuses, you know, a multisite in one is broadcast, so we're in the broadcast campus. We have a Mac that's just that thing. It's like a super-powered machine. I think we're running Wirecast and it's using like five percent of this computer capacity or something crazy. It's wild. Optimist Prime, so we're using that and we're streaming from Wirecast and we've had some bumps in the road, but for the most part, Wirecast does what we needed to do. Also using Wirecast to stream our Saturday morning prayer because I'm able to throw up some different slides and things like that. It makes it a little more. It's definitely Wirecast is if you're not like. Jay Kranda: You and I were actually talking about this before we started recording that we do not necessarily default as technical guys. We're going to be more pastoral. I remember when I started using Wirecast, I was like, okay. I could figure this out. It was like, oh, okay, this is the live screen, this is how you pushed and these are the outputs and we just did an event like that that we've been doing the last couple of months in like five minutes before. I was afraid it wasn't going to start because I couldn't figure out like, something changed on my statement provider. And I was like, I might not be able to do this because my, for some reason it's not the output. It's just like coming up red and I'm like googling Wirecast settings. Things I did not think I'll do in seminary. Mike Humphrey: Yeah. You don't, you don't learn most of this stuff in seminary. That's, you know, and, and that's anyone who's, who's been in ministry, for the most part, you think you're going to come into a, come into it with a handbook and usually you're writing the handbook. That's just kinda how it works. And so with Wirecast, the same thing, I mean I figured it out and I'll even jump in sometimes and I'll tell our production guys a couple of things that I learned about Wirecast. It's just really fun being able to just kinda get in and kind of get into the nitty-gritty and figure it out. But you learn, you learn a ton about it and you can stream out to Facebook and your online platform at the same time. I, like I said, I use it to stream to facebook and um, you know what, like I said, we've had it, we've had a couple hiccups, but for the most part a lot of them were user errors and I'm figuring it out as I go. Yeah. Jay Kranda: You also proving the model at the same time. So I would much rather do something for a short season and then hand it off and sometimes you need to do that even at larger churches, you need to do that. Mike Humphrey: absolutely. Yeah. We're figuring it out. But I do think, I do think if you're, if you're listening to this and you're looking into a streaming platform, I think Wirecast is a, is a good inexpensive option. I mean I think it's like just under a grand and you get two licenses. So I have one on my computer so I'm able to stream stuff from home and then we have one at the, at the main campus for our, for our main online seeds. So it's definitely a good option. Jay Kranda: What does your kind of community to core strategy look like in your online campus right now? Mike Humphrey: Man, it's, it's, it's a hard question to answer. I, I agree with you on that. We've, we've only been around for what, three to four months now and I already like we keep kind of rethinking it as well. So if you and I talked a while back before we even started this thing, I'm like, I need to talk to Jay. He's the guru for online and so, you know, having all the information go to one place is really helpful. So basically to explain what that means is that when somebody wants to take the next step, whether that's they want to be part of our membership class, they want to join a group poster group. They want to more information about who Jesus is. Doesn't matter what it is, they fill out one form and so we have one place where all of our information goes. We have all of our information in one place and it helps us do follow up, but I'm also finding out that I'm asking people to fill out the next steps and to do some things and some of them I think they're clicking on the form and not filling it out all the way. And so we have some. We also have a couple of buttons that are on the platform. If you check our platform out, then you can see that there's one to host an art group and there's one to take life boss. So we basically host a small group or take our membership class and it's just a one click button to get there because those are the main two things we're asking people to do. So that kind of gets down to the heart of what our core strategy is the end of the day. We want everybody in a small group that's our absolute end-all goal for people. We want people in community, so our strategy kind of, I think those a little bit more 50,000 feet up because we have digital evangelism piece as well. I mean it's going to sound crazy, but we have hundreds of thousands of people who have, who have indicated that they want to give their life to Christ and given us an email information. I mean that's not like. That's like if a girl says she likes you but doesn't give you her phone number, these are the ones who have given us their phone number. They actually are putting some meat behind the game for giving us email addresses. They're bought in and it's exciting and of course, the question comes up. You have hundreds of thousands of people who are getting saved or they really saved and are they really, you know, I don't know. We're obviously not equipped to answer that question scripturally. We're not even able to answer that question, but yet we still have an obligation to follow up and give these people an opportunity to connect. And so we're trying to reach out to that email lists as best we can without it feeling like spam or trying to really love them and have them connect with our online campus or at least connect with the local church. We want to do the same thing. We're dealing with everybody else. Get into the online platform, get them to plug into our discipleship class and then get them to join or host a small group. That's really our main funneling model right there. Jay Kranda: So somebody in Florida, they could just host a group in their home even though there are going to be on the other side of the country? Mike Humphrey: Absolutely. They still have to go through our process and we have a process for how we vet who our leaders are and you know, through the, through the advice of some, some, some great people. We're still putting people through the process. You know, we're still having people go through our membership class and we're still interviewing that we will jump on facetime or zoom or we'll do a phone call and we'll still interview those people if they, if they're going to be posted on our website and we're going to be representing them as the Rock Church. We have groups that are in homes that are meeting. We'll have groups that are, that are on zoom or on Facebook and we have a lot of different groups. I think that's where things get confusing. I'm still trying to figure out how to manage that is all the different types of groups. There's like a hundred different categories of what type of group somebody can have. I want a women's group but I want it to be on the website, but we're in Florida and we're going to be on zoom and it's like, okay, you know, it's hard to categorize all of that and that and right now we're using fellowship one trying to figure out. We kind of need a better system for that, but we're still figuring it out as we go. Jay Kranda: So your membership class that you guys offer, that's something that is now on like Youtube or some kind of online learning platform that people can access? Mike Humphrey: So we actually use a learning platform. What do you call it? Like a basically a class platform that's called, I don't know if you've heard called thinkific.com. It's actually just up now on the platform if you want to just check it out. Go to our website online.sdrock.com. And you can just check out, click and take the class. You'll be able to walk through, through the process right there and just see what it's about. If you want to check out what a membership class looks like within that platform. Jay Kranda: I love that. We use Teachable right now and it's been nice. But yeah, there are so many great platforms out there. I'm, that's cool to hear that you guys are doing that. Okay, so I guess my, one of my two last questions here is one was around, and this is kind of a funny question considering a how recent you've been rolling, but I bet their stuff, you know, in month four here that you'd like, Oh man, I wish I would have used this even at the beginning with how quick step moves, but is there anything you wish you would have had at the beginning, even a couple months ago, uh, that, that you're just started to do? Is there any tool or anything like that? Mike Humphrey: Yeah. So here's something that's really important and I love that question because when we, when we first launched this thing, I mean, man, we launched it and I remember I felt so underprepared. I don't know if you could prepare. It's like, it's like preparing to have children. There's like almost to prepare for it, you know what I mean? You're the best you can, but apart from like making the nursery, you're, you're gonna have to learn a ton of stuff on the go. So one of the main things was that we have, we have a small group registration form, small groups, small group, Rez registration form is great, but, but it also requires an address because of course it's small group requires an address, right? But then now we had people wanting to start small groups, but they're online and they didn't want their address, so they literally would start filling out the form and then email me and say, why is it asking for my address? I don't want people showing up at my house. And so we had this big confusing thing that was happening. People who are wanting to serve work where there are barriers in the way, right. You know, as a pastor you want to get people plugged in and connected. You don't want barriers in a way. Right. I think of it like, like apple, right? If you're on their website, they're not gonna, they're not gonna make it super hard to pay for your items, right? Like that's they want you to pay for it and when you're, when you're a minister, you want. If people want to serve, they want to get connected, you want to help them get connected as pretty as possible and there were barriers in the way. I'm also, our membership class was originally created for people who live in San Diego who can't get to campus, so it was really Kinda, yeah, the download the workbook and printed it and fill it out and it was just like really kind of working the way that it worked out and now that we have Thinkific, it's so much cleaner in the whole process from front to back is easy. People can, can take half of one class and then leave and it'll, it'll save your progress. Fifty percent done. It's the right way to do it. It's not even like it's profound or earth-shattering. Technology is just the way it should have been from the beginning and we would have probably avoided a bunch of issues yet. But yet we, we kind of, we're building the plane as we're flying it, so we're, you know, those are, I guess two big things. How about have a registration form that is specific for online. I mean, it's so unique that a lot of times you have the pressure of trying to make things fit in with what the rest of the church is doing. And I know Jay, you and I kind of have different environments a little bit where, where with us it's like, like you are a campus, you have to fit into what the campus looks like and with you it's like your technology and like, you know, things we don't understand. So you guys are unique with us. We're kind of, there's a little more pressure to fit into here's what a campus is. But yet there's sometimes you got to get the push back and say we can't have one registration form. Jay Kranda: Okay. So how about this, my last question for you is what are you excited about and dreaming about for the rest of this year? Mike Humphrey: So one thing that's been huge lately it's been getting me really excited is we have this online Facebook group. I know you have an online community that's vibrant and people were praying for each other and connecting and we have a similar thing going for the rock church. But one thing that I've been doing recently has been, I mean when I'm, when I say recently, I mean within the last week is something that we started to do is start online small group type of groups on facebook for different states in the US. So we haven't branched out for different countries. But will this be the longterm solution for small groups. I just met with a guy who's in Florida. He said he lives in Tampa. He said he wanna to host Sunday services in his building. And I'm like, that's awesome. But they're buildings can maybe fit a thousand people each. What are you going to do? How are you going to find that many people to fill those buildings? Well, he's going to start by building community in Florida through this group. Then what you can do is you could post polls, you can see where people are by city, by region, by area. One thing I'm really super excited about too, as we, as we start branching out and growing to serve. I really feel like that's when you start seeing amazing fruit come is when you know when we have a disaster happened in Florida and there's a hurricane and now that group rallies together and they're helping the people that are local or they. They figured out that they can help out the homeless in our area and they started doing service projects. Like I said, the Rock church is very outreach driven, very service driven and if we can actually tap into these groups as they start growing organically and this community starts, starts growing, then we can start seeing these, these little beacons of light go out and search communities all around the US and all around the world and I'm just. I'm really excited about it. I mean, when you start getting into data, it's funny. I'm like becoming a data nerd. I never thought that I would, but I love data now and you can pull from your, from your facebook group and say, where's everybody? Where's everybody from? Starts categorizing by states and by cities and by countries and realizing that we have like 50 people in our facebook group that are from Kenya. Like wow, that's a huge bustling group, right? There are people that all understand each other way better than I could ever understand them, right? Because they all actually live in Kenya and they're all on facebook so they can all connect with each other organically and start to start to grow some groups that maybe we can meet in person. Jay Kranda: That's a cool idea with the, with kind of categorizing people that way with state so that you can have natural connection. I don't know if you can do it on groups yet, but I do know you can do it on pages now where you can stream to multiple Facebook pages at once. It would be interesting is if you had a bunch of groups and I don't think it's possible yet, but if you had a bunch of groups hypothetically you could stream to all 50 groups at the same time, but having their own private conversations would be super. Would be compelling. I know you could do it on pages. I know that. Anyways. You are killing it and, I love seeing the facebook live stuff. I'm going to put links to it. 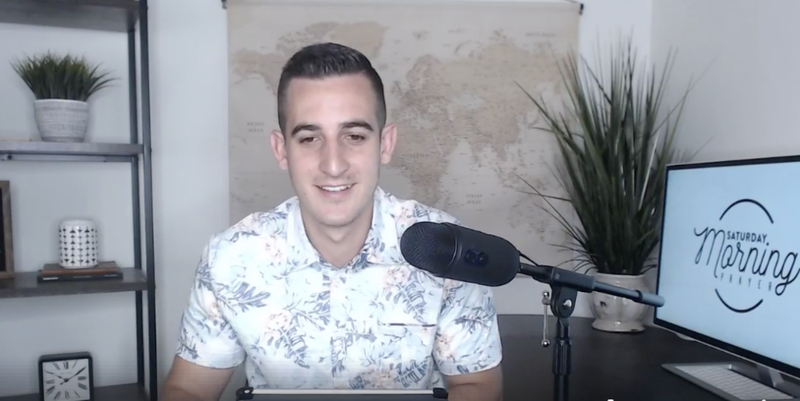 You guys need to check this out because he's doing a great job of intentionally building content for your community and I love it that people see you as their pastor. Mike Humphrey: Jay. I appreciate it, man. And, like I said from day one you've been someone I've, leaned on for a lot of wisdom and knowledge and I appreciate you being a foreigner in this. I think there's a lot of people listening right now that have been doing it for six months, a year, two years, and what you've been doing it for five or more and right? Jay Kranda: Yeah, it might be longer than that, but I don't want to think about it. Mike Humphrey: Yeah, exactly. But really you've been a pioneer in this game, so I really appreciate your wisdom and for having me on. Jay Kranda: Thanks. Okay, so I'm going to put links to everything that Mike is doing. Check out the Rock Church and thanks for hanging out. Mike Humphrey: All right, thank you. Jay.